If you run your business from a retail location, customers will need to be able to swipe their credit cards at a POS terminal. This requires hardware and software to be installed on your POS machine attached to your register. Most merchant service providers include the required hardware as part of their service for free but charge monthly fees for the hardware and software required. Charge.com offers free POS terminals to all of its merchants who need them. Retail merchant accounts are just like any other type of merchant account; they require an application and generally have lower processing limits in the beginning. Charge.com offers some of the best terms and rates available for retail merchants who need a merchant account for processing customer credit and debit card purchases. 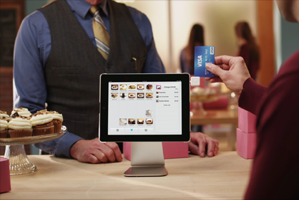 Charge.com also offers some of the most advanced POS systems and supports all of its products and services to ensure a seamless transaction process for your customers. To start accepting credit cards at your retail location, please start the application process to the right and you will be taking credit and debit card payments in no time. Offering more payment options to customers is always a great way to not only increase the number of customer orders, but it’s also more convenient than cash payments for you and the customer. There is also less physical cash on hand that can be stolen by employees, thieves or simply be misplaced. More and more customers are using credit and debit cards to make payments at retail locations; providing this option is not only appreciated now, it’s expected. Not accepting credit cards in a retail location can make your business seem less professional and thus reduce your customers’ satisfaction and likelihood of returning. Once you have these things ready, call Charge.com and we will walk you through the underwriting process so you can start accepting credit cards at your retail location! Description: Opening a Retail Merchant Account is simple and easy with Charge.com. Read this article to discover important information regarding retail merchant accounts!